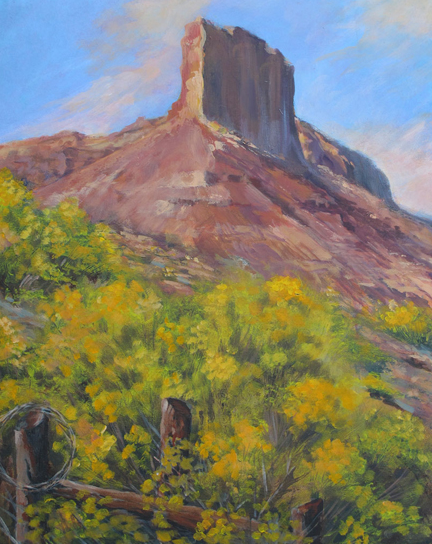 A beautiful palisade overlooks picturesque Gateway, Colorado. My husband and I hiked up a canyon behind Gateway Canyons resort on a fine autumn day and I loved the brilliant yellow rabbit brush against the red rock edifice. 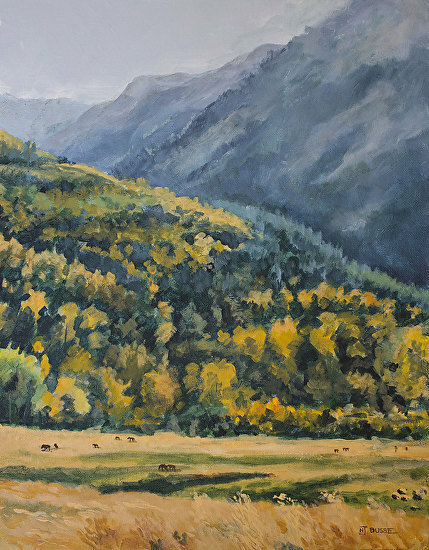 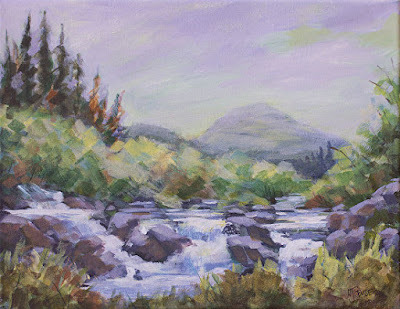 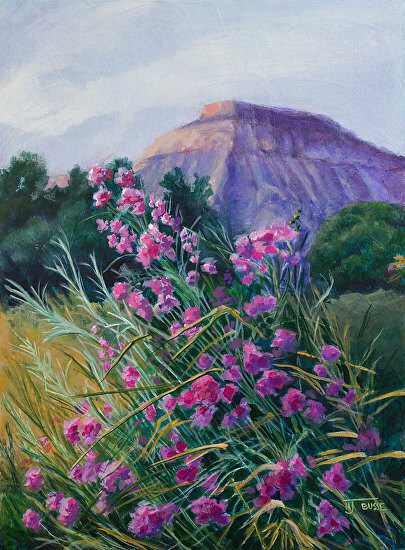 Original Colorado Landscape Oil Painting Prints are also available. 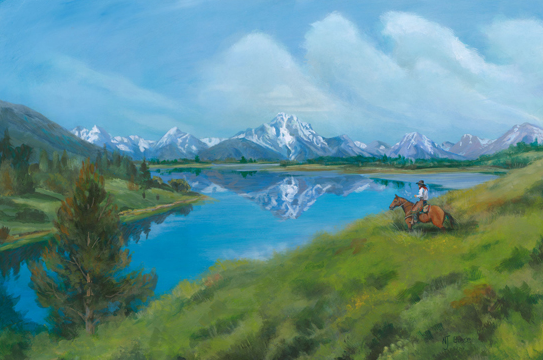 This is the view of the Teton Range from Oxbow Bend. 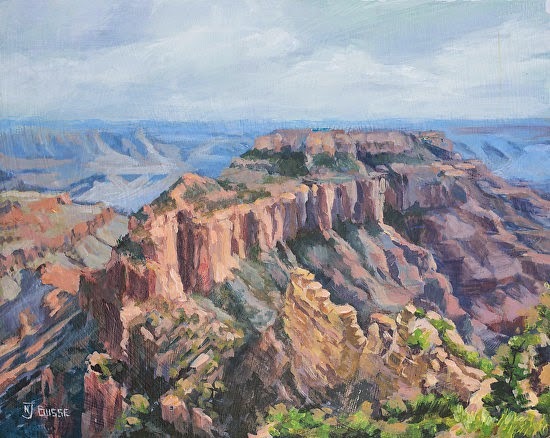 This view is one of the most photographed landmarks on our planet. 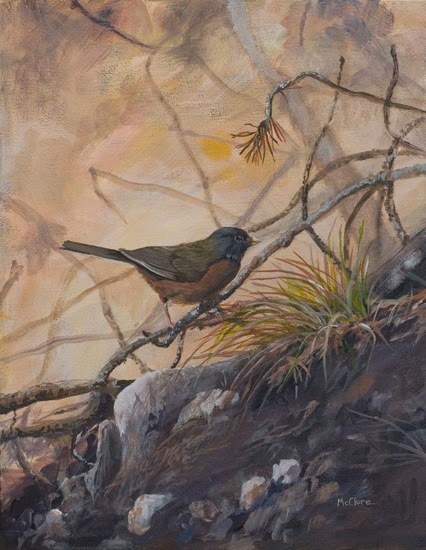 Little wonder. 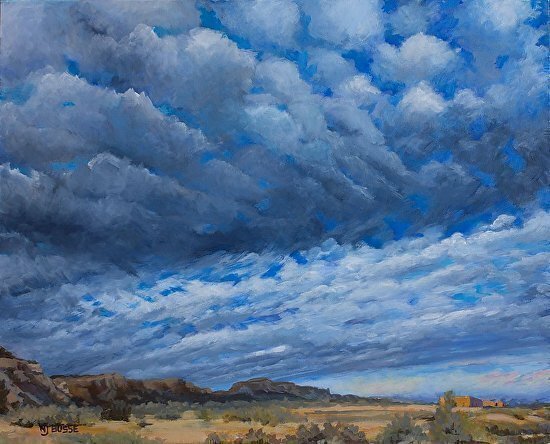 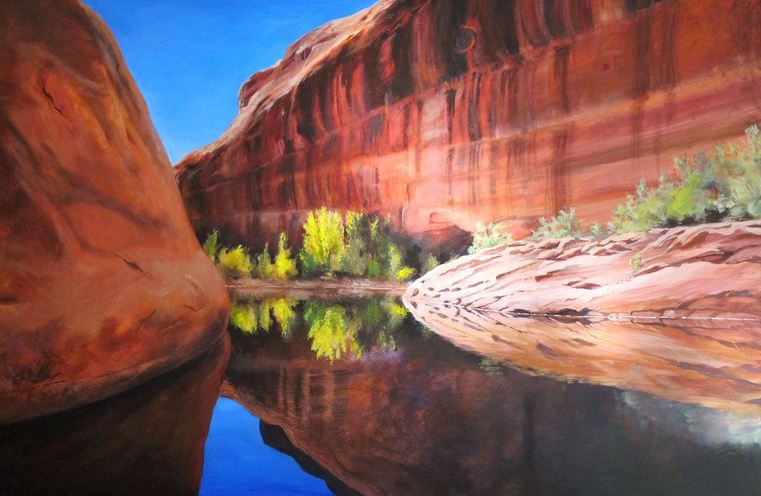 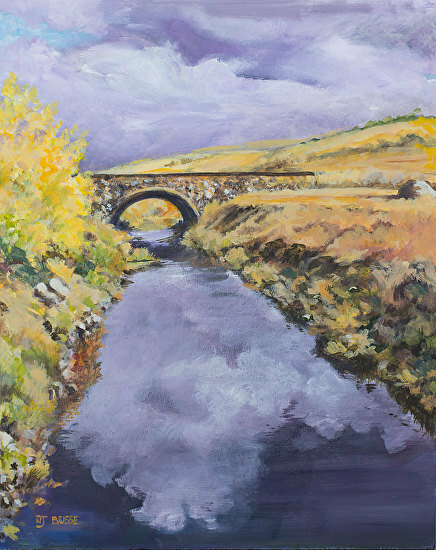 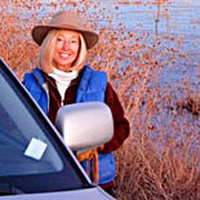 When my painting studio faced south toward the Gunnison River I was able to watch waterfowl fly the canyon every day. 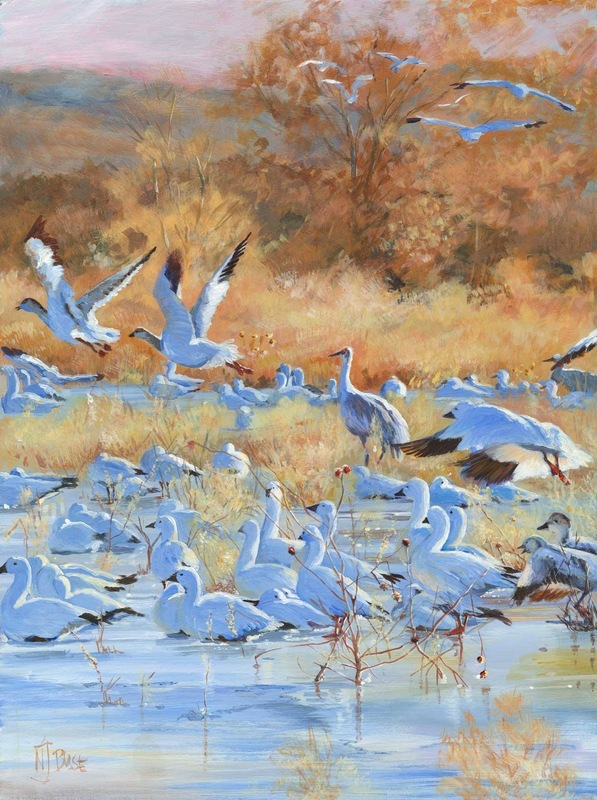 Geese, ducks, herons, eagles, and sandhill cranes flew over that waterway and I enjoyed watching them every day. The eagles were always impressive! 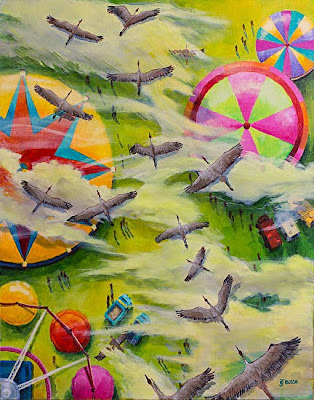 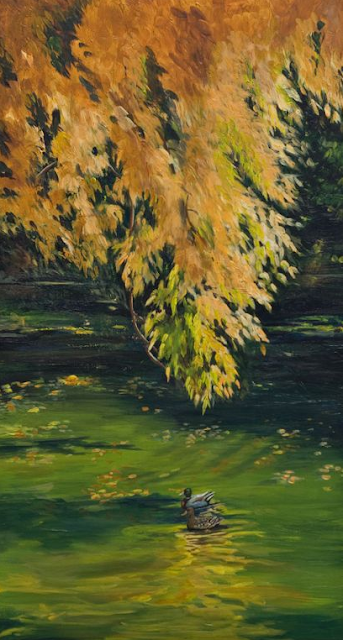 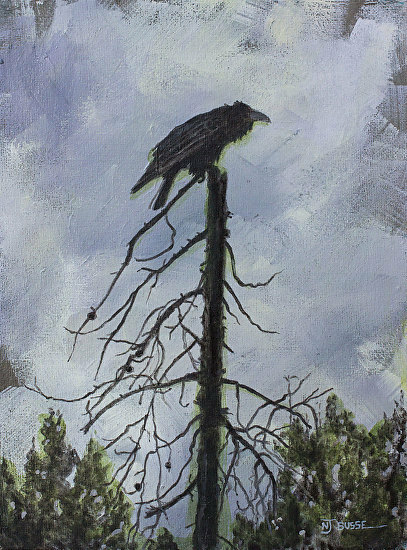 This painting was chosen to be in the NAOPS International Fall 2015 Online Exhibition. Last summer, after a heavy rainstorm, this lovely hawk landed by our window to dry off after the deluge. 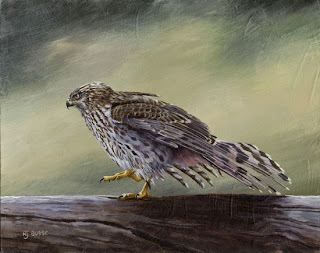 It strutted and flapped its wings, while we took photo after photo. 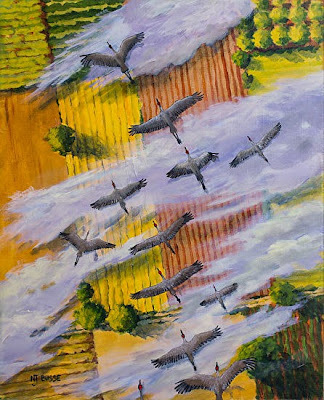 What a marvelous display! 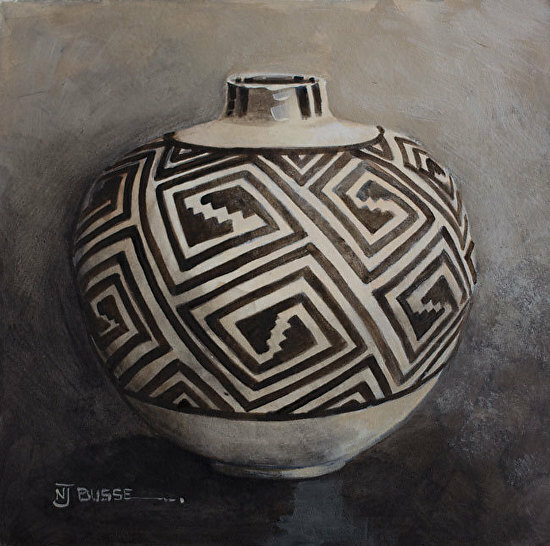 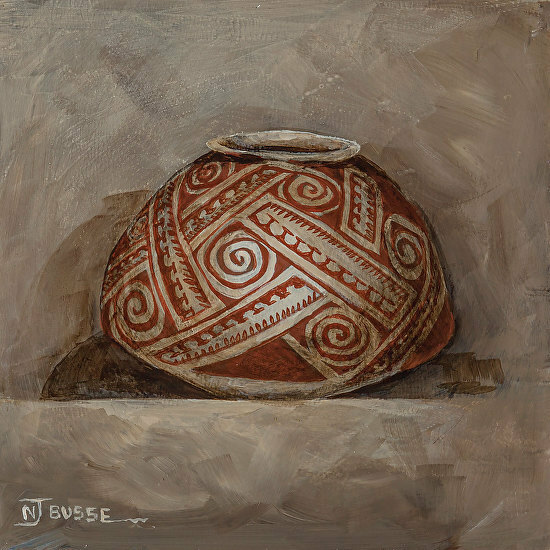 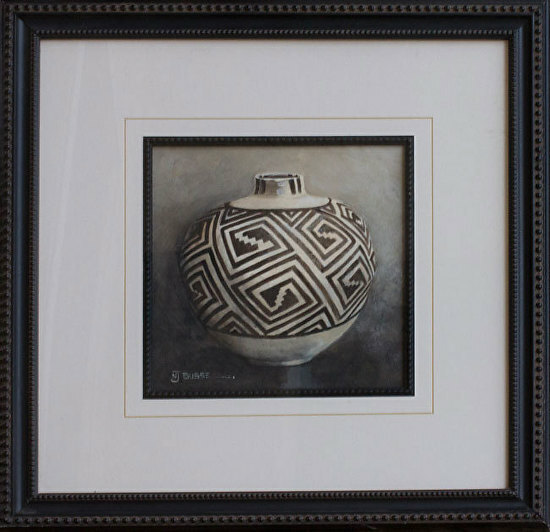 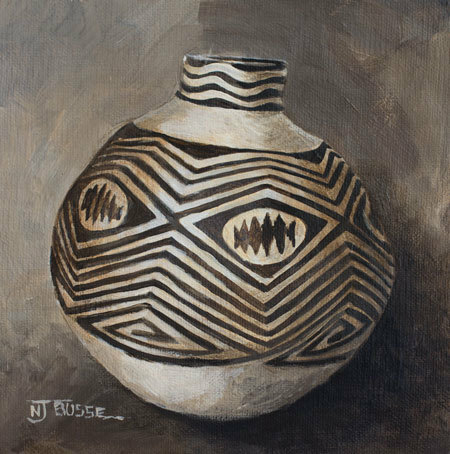 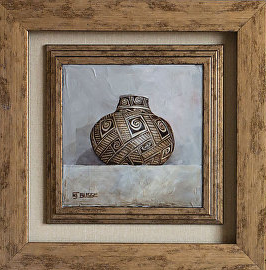 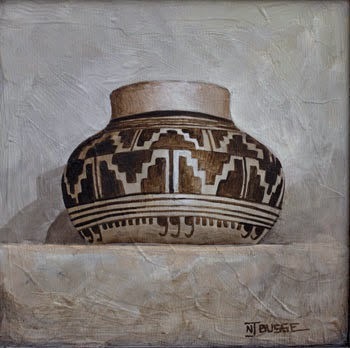 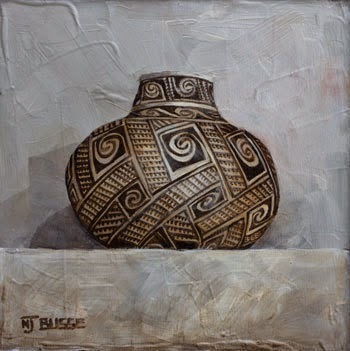 This small acrylic painting of a Native American Anasazi pot was painted on sandy-surfaced paper. 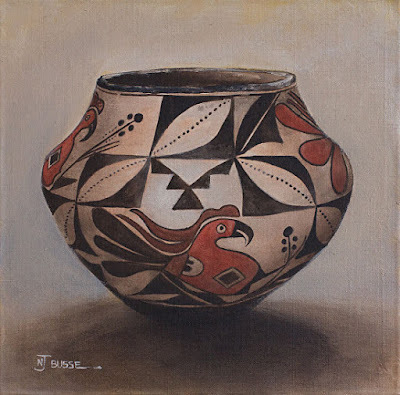 I love painting the beautiful geometric designs on ancient Native American pottery! I spied this coyote behind my studio early on a summer morning. 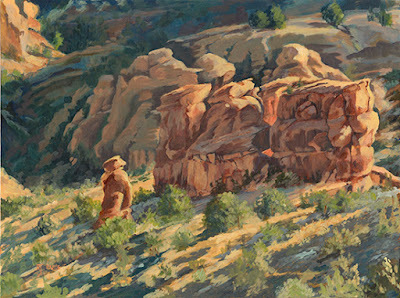 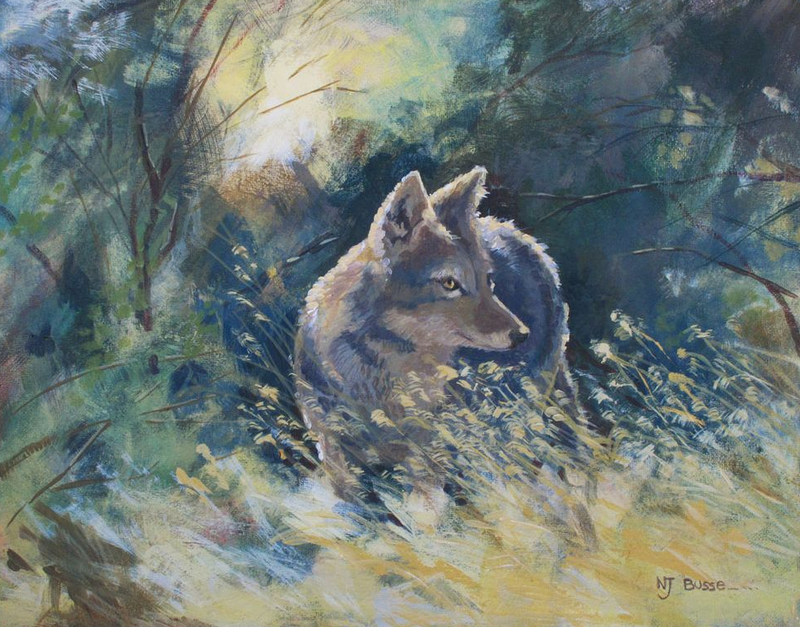 He was warily walking toward the studio in the shafts of light between the sagebrush. 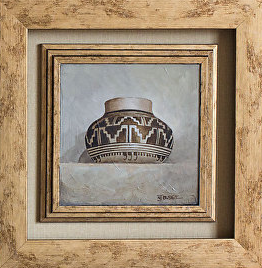 12"x12" Acrylic on Linen/ Framed size 12"x12"
6"x6" Acrylic on Board/ Framed size 12"x12"